The boys shot put over the past five years has been strong, but so far in 2019 year we've yet to see some of the same big throws as we've been accustomed to over the past four years. 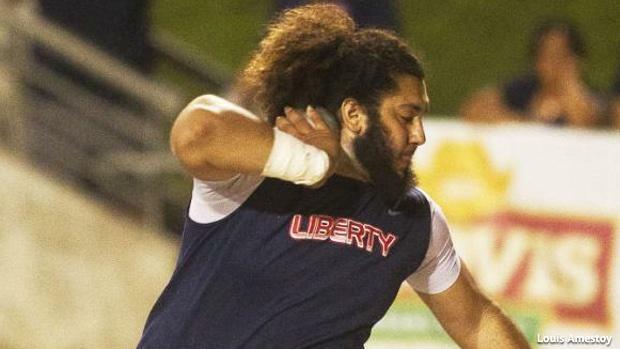 The current nation-leading athlete is Bakersfield (CA) Liberty High School's Daniel Viveros, who's thrown a best of 68 feet, 11 inches. For comparison, the top throw at the end of the last four seasons has been at least over 70 feet. We're only halfway through the 2019 outdoor season, so we could still see a thrower over 70 feet. Other than Viveros, there are a few other in the mix, including St. Pius X (GA) High School's Tanner Duffin, who's thrown 76-9, and The Woodlands' (TX) Patrick Piperi who has thrown 67-9. Innovation Academy Charter School's (MA) Aiden Felty and Fond du Lac's (WI) Andrew Stone were also within striking distance of 70 feet this indoor season with throws of 67-0 and 67-11.5, respectively. So far, the overall number of athletes throwing over 65 feet is down compared to the past four years. We're seeing some of the lowest numbers since 2015, when only six guys threw over 65 feet. Even in 2015, with the overall number of guys hitting 65 feet being on the lower end, there were still two guys in St. John Bosco's (CA) Matt Katnik (72-3) and Leavenworth (KS) High School's Willie Morrison (70-2) who threw over 70 feet. Take a look at some of the stats above and see the full top 50 rankings for each of the last five years below.